Have you ridden the long distance economy class train in Java ? How long ago did you take it? If you took the train in 2000, you may have boarded on miserable compartment. 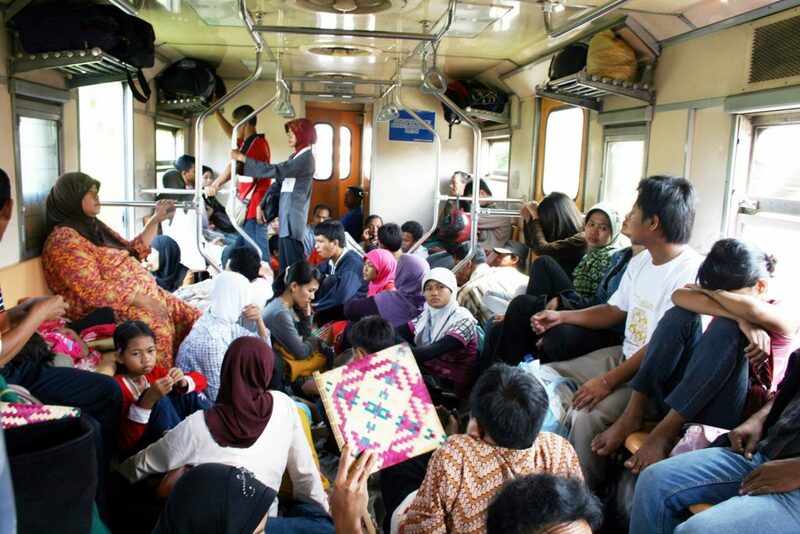 In early 2000, the condition of economy class train of Java was a nightmare. It had no air condition, only fans. As such many chain smokers enjoyed it despite the prohibition of smoking. You could inhale cigarette smokes in the entire trip. The compartment was dusty, dirty and smelly. The seat was dusty you could even see the dusts in naked eyes, and so was the handle of the seat. You could see cockroaches roaming on the floor. The glass window was half opened and you needed a full effort to close it. But you could not close it completely because you would need some air as the fan sometimes didn’t work. If the toilette door was ajar you could smell the ammonia hovering in the air. 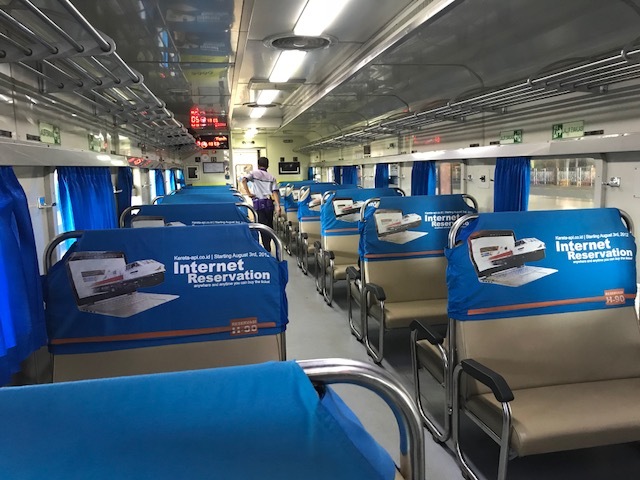 This is the economy class train for short distance, 3-hour trip connecting Pekalongan-Semarang. The vendors could get inside the compartment offering any kind of items they sold. You need extra care to watch your belongings . Economy class train stopped every time there was intersections with the executive train. In those spots, out of the blue the vendors could get in and offered their items. It sounded like an orchestra as they shouted. Often they knocked on your window. You could not help being awaken from your sleep, and again watched your belongings. Mobile phone, laptop or ipad were not common so no socket to plug your gadgets was available. 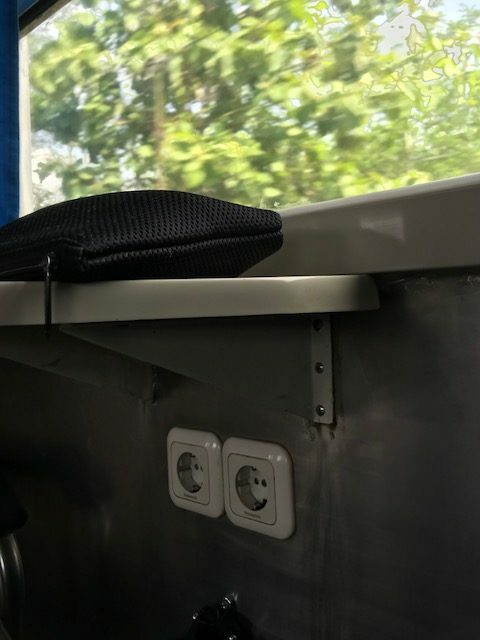 The socket for electronic plugs is available in economy class train now. The trip by economy class train at the time was unpleasant, the only plus point was the ticket was very cheap. For comparison, one-way ticket fare from Pasar Senen in Jakarta to Jogjakarta cost less than Rp 50,000. It was for about 400 km distance. In comparison, it was the taxi fare for 15km distance in Jakarta. At that time, taking economy class train meant you were a low incomer. After directing Indonesia’s train company in 2010, Ignasius Jonan upgraded the management and service of the train. His legacy is visible in the service of long distance train. I recently took a long distance train for a short trip from Purwokerto in Central Java to Jogjakarta. The ride took about four hours. I was so mesmerized with the condition of economy class train. First, it is clean from the floor, seat, window and toilette. Second, it is air conditioned. Third, you can contact the manager for any problem during the trip. His photo and contact number is on display. Fourth, it is on time. And most of all the ticket is affordable. You can buy it online, no need to queue in the station. The compartment is free from vendors. Only passengers with boarding pass can enter the station. You can continue to work as there is socket for your mobile or laptop. Every time the train stops in a station, there is announcement. I must say it was a comfortable trip. For those who took economy class train in 2000 and compare it with today’s train , the total difference is shocking. Now, taking economy class train is enjoyable. You can even order your drink and snacks on board. I recommend you to take Joglokerto train if you want to take an economy class train for a trip less than five hours. Why? The train connects touristic cities Solo-Jogjakarta-Purwokerto. Purwokerto is a less touristic city but you can enjoy it as well. (Wait for my piece on Purwokerto). In Jogjakarta, the train stops at Jogjakarta Station (Tugu Station). 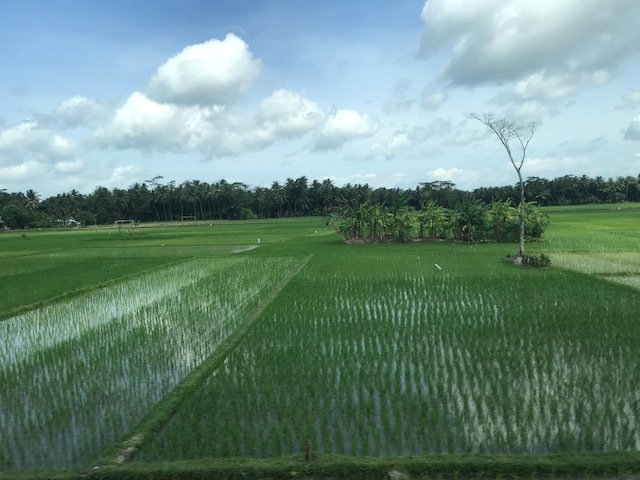 Either you start your trip from Solo or Purwokerto, you will get a scenic view of rice paddy field along your way. It is only 4-hour trip. By the time you arrive in one of those cities, it’s still day time so you have plenty to do. You can buy your ticket at the official website https://kai.id/ It’s in Bahasa Indonesia. To get the English version you can download the application in App Store and Google Play.